You have successfully grown a beard and everything is going according to plan. Until one day you start noticing flakes and small skin scales on your dark shirts. Is it my hair? You think, as you head on to the closest supermarket and buy some Head&Shoulders or Nizoral for your hair. After using the anti-dandruff shampoo on your head, you begin to realize that it was never your head that was shedding on your dark shirts. Instead, it was your beard! You never had flaky scalp-hair, you had a flaky facial hair. This is all too common. 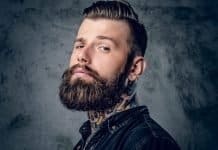 In fact, it’s one of the most common beard issues men face, and especially guys who are new to the habit of growing a beard. But what is beard dandruff? What really causes it, and how can you treat it at home. Beard dandruff (sometimes called; beardruff) happens when you begin to have small flaky skin in the beard. 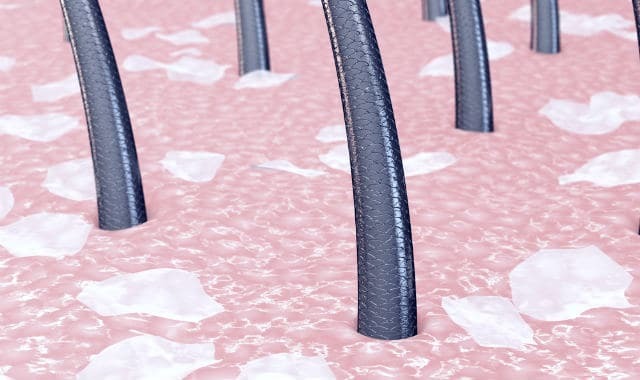 It’s similar to what happens in a normal scalp dandruff; the skin gets extremely dry and sheds off as white flakes, and get tangled up on the hair and end up on your chest and shoulders. The condition is common. 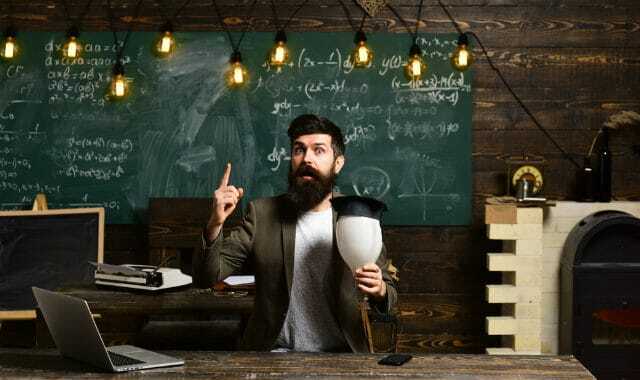 So common that there are specific products that directly attack this problem, such as beard dandruff shampoo and beard oil for dandruff (but more about those later below). 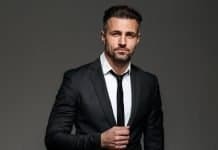 It’s understandable that men want to learn how to prevent facial dandruff, as it’s uncomfortable and somewhat embarrassing to see that after a long day, you had flakes all over your beard and clothes, and likely everyone else other than you noticed it. Dandruff, be it from the scalp or from the beard, makes your whole image and impression look extremely unkempt and dirty, even if that wasn’t even close to the case. Like said above, beardruff is caused by flaky pieces of dead skin on the whiskers. 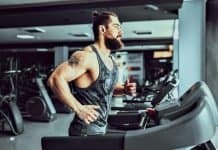 From that, you can probably already guess that the main cause is skin dryness, combined with lack of beard care, or in some cases, too aggressive of a beard care routine with wrong kinds of products. Those aren’t the only causes, however. 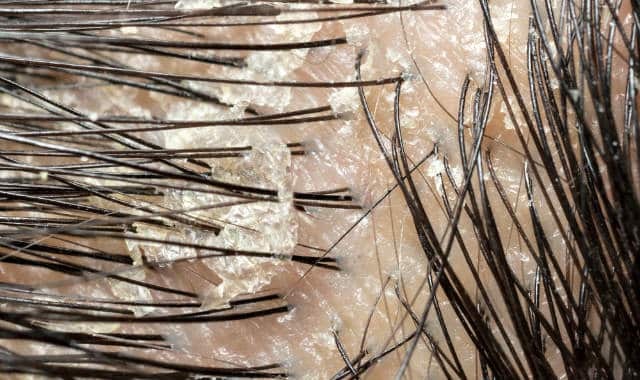 More rarely facial hair dandruff can be caused by a medical condition called seborrheic dermatitis (seborrhea) which is a medical condition described by chronic dry and red skin, often so dry that noticeable white flaky areas start to form. 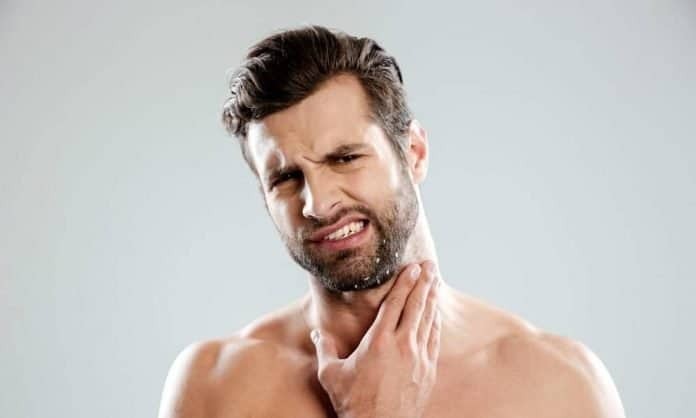 Seborrheic dermatitis of the face looks almost identical to two other possible causes of beard dandruff; psoriasis and eczema, which are autoimmune diseases where the body “attacks” healthy cells. If the cause of your flaky beard is just general skin dryness, and you have no previous experience with seborrhea, eczema, or psoriasis, then know that most of the beard dandruff home remedies I’m about to share below should be super effective in preventing the flakes. If you have some history with eczema, psoriasis, or seborrhea, then it’s best to work closely with a dermatologist and a doctor to get it under control, and some of the home remedies may not be that effective, as the cause is within the autoimmune system (doesn’t mean that the methods below would be useless, just not as effective). Due to various causes such as poor quality diet, stress, and harsh chemicals in grooming products, you can also be affected by a yeast infection of the facial hair area (Candida). 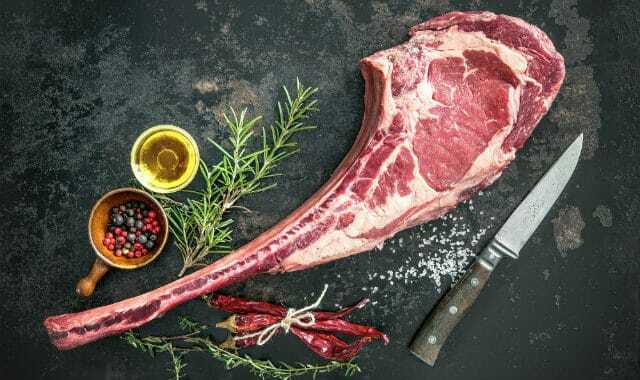 Some known ones include the fungi Pityrosporum Ovale and Malassezia Globose, which both feed on the natural sebum oil fatty acids of the beard follicles1. Last but not least; if you are using minoxidil to boost facial hair growth (it does work), then know that one of the most common side-effects is really dry skin and flaky beard. If that’s you, then know that all of the tips below will help you too. Bottom line: Beard dandruff is caused by the dry skin which flakes off. In most cases, it’s just general skin care negligence or too aggressive use of wrong kinds of beard products, but in some rarer cases, autoimmune diseases like seborrheic dermatitis, psoriasis, and eczema can be the cause. Finally, it’s time to attack the issue, aka. How to prevent dandruff in the beard and how to treat the flaky beard already happening. Couldn’t I just do the same thing I do with my scalp-hair and use some Head&Shoulders or Nizoral shampoo on my beard to cure the beardruff? The answer is no, please don’t go do that. Head&Shoulders is powerful stuff and works well on the head, but it’s too powerful to be used on your facial hair, as it strips off almost all of the natural sebum oil. 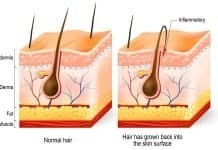 Also, the main ingredient in those scalp-hair dandruff shampoos tends to be ketoconazole, which is a known antiandrogen that directly suppresses the hormones responsible for beard growth2 (testosterone and DHT). Trust me, you don’t want to lather your whiskers with that stuff. So if scalp-hair anti-dandruff shampoos are out of the picture, what can be used to stop flaky facial hair then? Don’t wash the beard too often. 2-3 times per week is an OK amount. You want to preserve the natural sebum oil as that is the #1 in the prevention of dry flakes. When you do wash the beard, use gentle natural shampoos that are specifically designed for facial hair use. Again, you need some of the sebum oil in the beard. Applying some natural beard conditioner can also be helpful in preserving the moisture of the facial hair (we recommend this DIY beard conditioner recipe). Right after the shower, apply some beard oil to towel dampened beard. This helps to seal in the moisture and replace some of the natural oils lost. Exfoliate the skin to remove the dead skin cells and to help better oxygenate the follicles. Quality beard scrub and a boar bristle beard brush are best for this. Suffering from severe dandruff of the facial hair? Using beard balm a couple hours after putting on the oil can further prevent the flakiness. To expel possible yeast infection from the beard area, a doctor can prescribe you special shampoo for that, and we share a home remedy recipe below as well. Of course, some products do better than others to prevent and treat the flaky skin in beard, and that’s exactly what we are going to be focusing on the subheading below. Below, we are going to share some of the most effective methods of facial hair dandruff prevention and how to naturally get rid of the flaky skin in your face. 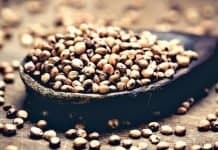 There’s also a yeast killing home remedy for flaky beard and some other tips and tricks that should help. Starting off a list of ways to prevent dry beardruff with washing may be a bit controversial. Simply because washing the face too often and using too harsh shampoos is actually the biggest reason men develop dry flakes on their beard (which when left to worsen, will lead to major facial hair dandruff). However, adopting a proper beard washing routine is the key to also preventing beard flakes. It just means reinventing your showering habits a bit. Never wash your beard daily, this removes too much of the natural sebum oils and gives you a nice, flaky, “desert face”. Wash it 2-3 times per week at most. Always use gentle beard shampoo. The health of your facial hair is reliant on the natural oils of the skin, and beard shampoo helps keep some of that. Avoid scalp-hair anti-dandruff shampoos like Head&Shoulders or Nizoral. Both contain antiandrogenic ketoconazole which can suppress the natural beard growth. If you stick to the above examples, you should be seeing the flakes slowly disappearing on their own if the cause was over-washing, as the skin underneath returns to its natural oil balance. If you’re wondering “what beard shampoo should I choose“ just click the link and it will take you to our large review of beard shampoos and their ingredients. If you’re not up for a full review, know that we tend to recommend either Scotch Porter or Big Forest brands for facial hair. Both are gentle and natural, preserve some of the sebum oil and can help you prevent and treat beard dandruff. 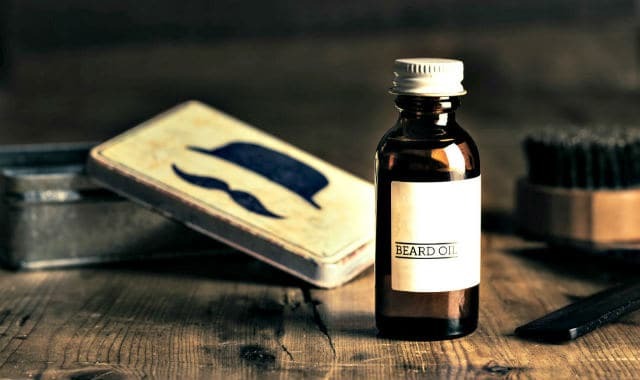 While some claim to be specific beard oil for dandruff, that tends to be just marketing fluff, as they often contain the same old ordinary beard oil ingredients that most companies use. When choosing the right beard oil for flaky facial hair and otherwise, it’s best to avoid all polyunsaturated carrier oils (those are prone to lipid peroxidation and easily get rancid on the skin, worsening the flakiness) and the possible hormone suppressing essential oils like tea tree oil, eucalyptus oil, and amla oil. 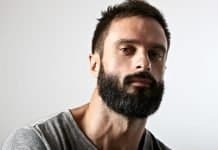 (We have a huge beard oil guide here which discusses some of the harmful polyunsaturated carrier oils and the hormone-suppressing essential oils to avoid). Your best bet is to go with a beard oil that is based around jojoba oil or coconut oil. Both of those are stable, very low in the harmful polyunsaturated fats, and unlikely to harm the hormones that fuel your beard growth. The extra benefit of both being that they have been shown to have antibacterial and antifungal benefits (jojoba oil through its high natural iodine content, coconut oil via other means). Specifically, to avoid beardruff, my recommendation is to just apply pure jojoba oil on your mane right after the shower to seal in some moisture, but if you want to pay up for an actual “beard oil” with a nice bottle and all that, then the safest ingredients can be found in ZilberHaar N°1 Beard Oil. Bottom line: Beard oil can help fight off beard dandruff, especially if its applied to towel dampened facial hair right after a shower to seal in some moisture. The use of the right oils is important, and we recommend jojoba & coconut oil based products (or DIY beard oil) for this purpose. Frequent exfoliation of the skin underneath your mane is important for beardruff reduction. It’s after all, one of the simplest ways to rid the face of the dead skin flakes before they have the chance to shed on your beard or shoulders. We recommend any beard dandruff sufferer to at least once a week, scrub their face with a natural exfoliating scrub like the Brickell’s Face Scrub (just remember to apply some oil afterward, as this removes some natural oils that you need). 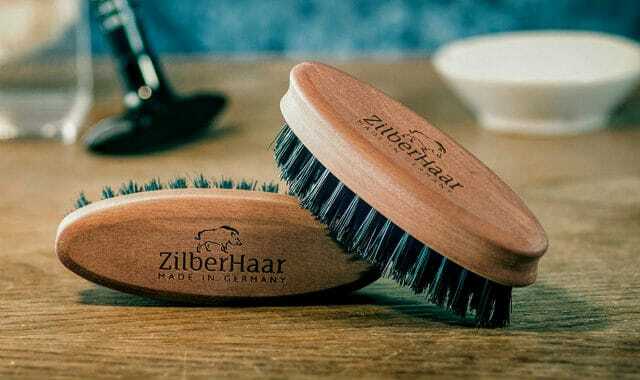 Another – even better way – to thoroughly exfoliate your beard without stripping the natural oils, is to use a boar bristle beard brush on your facial hair daily. Brushing exfoliates and removes the old already flaked up pieces, helps stimulate the natural secretion of the moisturizing sebum oil, and evenly distributes the natural oils and beard oils to your whiskers (click here to read our full article on beard brushes). Bottom line: Weekly exfoliating scrub + daily beard brushing are some of the low hanging fruits of beard dandruff prevention, and some of the most underestimated beard care essentials. In the case of severe dandruff of the face, all of the above tips might not be enough. So to further seal in some of that moisture, you can grab some beard balm, take out a pea-sized chunk, warm it up in your fingers and apply to the facial hair. Do this about 2-4 hours after the shower and beard oil application to hammer home most of the benefits. 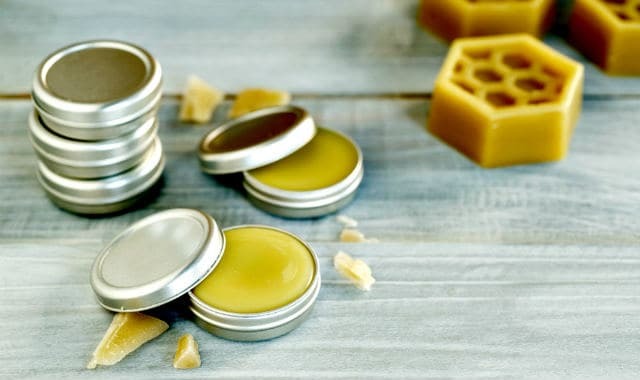 Most beard balms have some shea butter and beeswax in them to create a protective layer to hold in all that moisture, which over time will reduce your tendency to get a flaky beard. The same thing about ingredients applies to beard balm as it did on the above subsection of beard oil; always choose ingredients that have no harmful polyunsaturated fatty acids or hormone suppressing essential oils (again, we have the worst offenders listed here). Beard balm is also surprisingly easy (and extremely cheap) to make yourself at home. In our earlier article about beard balms, we shared a simple balm recipe + some great brands to choose from. Bottom line: Beard balm can further seal in the moisture from showering and beard oil use. Apply it 2-4 hours after the shower for best anti-beardruff results. 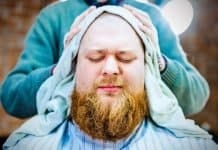 If you are dedicated enough to fix your beardruff for good, then consider making this DIY anti-dandruff solution at home to dissolve the dead skin cells before they get to flake off. This combination also kills some of the yeast bacteria that feed on the sebum oil if your problem is related to either Pityrosporum Ovale and Malassezia Globose growth. Think of it as a more natural version of the harsh anti-dandruff shampoos and medication. 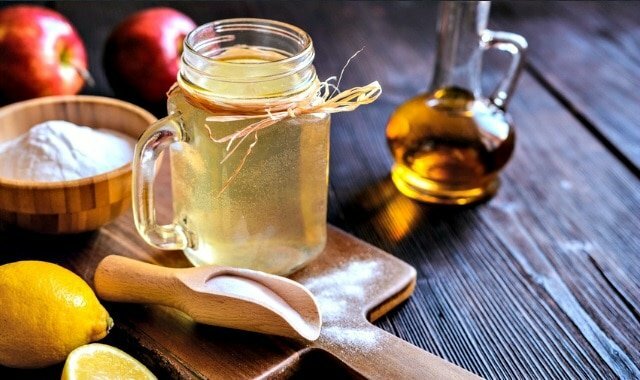 How to prepare the mixture: Mix the apple cider vinegar and jojoba oil with the crushed aspirin tablets (or powder) in a jug, bowl, or bottle. How to use the mixture: Next time you take a shower, wash the facial hair with some beard shampoo. Immediately after, apply this mixture to your facial hair area and massage it in. Let it work for about 5 minutes and rinse it off, towel dampen your whiskers and proceed to apply some beard oil. Why this helps to prevent dandruff: Apple cider vinegar is one of the most potent natural antifungal and antibacterial agents, effectively killing most of the dandruff-causing fungi and bacteria, while it helps maintain the natural pH of the skin underneath your beard. Jojoba oil further enhances this through its naturally high iodine content (iodine is also antimicrobial), and the salicylates from the aspirin tablets help dissolve the dry flakes. How often should you use the mixture: Not more than once per week. If your dandruff problem isn’t too severe, you can apply this once every two weeks. 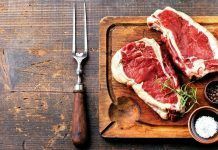 Your diet plays a huge role in the health and natural growth of the facial hair. It also impacts beard dandruff and flakiness, through a myriad of ways (sebum production, keratin production, skin oxygenation, etc). Try to eat enough calories and drink plenty of water. Consume balanced intake of all the three macronutrient groups. Have plenty of different fruits, veggies, and dark berries in your diet. Supplement with a multivitamin (good brand) to fill any gaps in your nutrition. Vitamin A, biotin and other B-vitamins, and zinc are crucial for dandruff prevention. 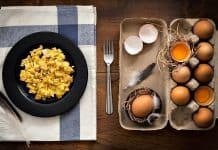 Some great foods that can improve beard growth and help rid yourself from beardruff include eggs, liver, oysters, gelatin & bone broth, blueberries, and raisins. Bottom line: Nutrition is hugely important for preventing flaky and dry beard dandruff. Try to not omit from any major food groups, eat enough, and have a balanced intake of vitamins and minerals (especially vitamin A, B-vitamins, and zinc). If all else fails and you followed the above list to treat your face dandruff with no results, then it’s likely that you suffer from one of the rarer autoimmune skin conditions or persistent yeast infection. Yeast infection (Pityrosporum Ovale and Malassezia Globose). 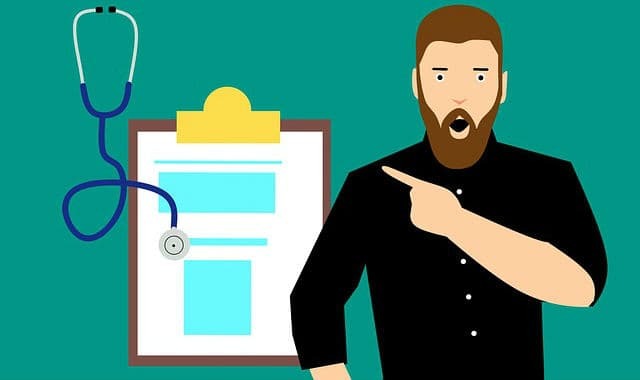 If you believe your beard flakiness can be caused by any of the above, it’s best to consult with a doctor and/or dermatologist to see what option is best for you. 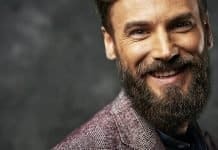 If your beard health is important to you, be sure to mention that you would prefer not to use any DHT-blockers or antiandrogenic anti-dandruff products on the facial hair area unless it’s absolutely necessary. It takes some work to get rid of dry and dead skin cells shedding off to your beard and clothes, but in the end, it will be worth it. Wash 2-3 times per week with beard shampoo. Apply jojoba or coconut oil based beard oil right after to seal in moisture. Exfoliate the skin once a week with scrub, and use beard brush daily. Apply beard balm and use the DIY beardruff remedy if necessary. 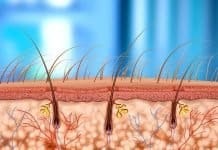 Treat dandruff from the inside with proper hydration and nutrition. If all else fails and you still see beard flakes, check up with a dermatologist. Rubenstein R, Malerich S. Malassezia (Pityrosporum) Folliculitis. J Clin Aesthet Dermatol. 2014;7(3):37-41. Hugo P. Ketocazole as an adjunct to finasteride in the treatment of androgenetic alopecia in men. Med Hypotheses. 2004;62(1):112-115.